Andrew Balding, Osin Murphy, Leicester, Lewis Jones. It may be a Monday, but the level of racing today should bring out plenty of punters out of their early week slumber. 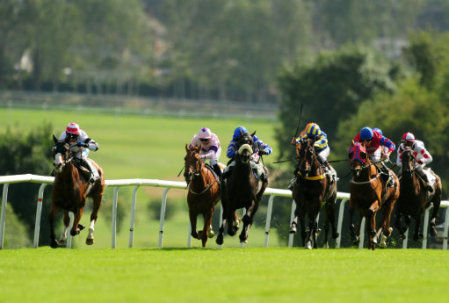 There are some tasty handicaps to delve into from Leicester, Kempton and Hamilton, and we’re hoping to build on the profit we made from our each-way return on Ayr Gold Cup fourth Heaven’s Guest at 25/1…..
Comanchero is the horse for our money today in the Highfields Handicap at Leicester (5:00) for the prolific team of Andrew Balding and Osin Murphy. The young jock is the next big thing on the racing scene and he has taken his talents to the next level this season. The pair should strike with the selection today. The Balding-trained three-year-old has been in fine form this season, winning at Chepstow and Chester as he has progressed up the handicap following a poor showing in maidens. His current mark of 69 has stuttered his progress but in a weak renewal, he looks a good bet to strike around the 11/2 mark, especially if he runs anywhere near the level of his last two efforts. Get on the selection with a one point win stake. Just click here or on the tip itself to take advantage of this fantastic opening offer. Remember to place the bet with Bet365 and new customers can get a 100% deposit bonus of up to £200. That means, for example, if you back Heaven’s Guest to win this race with £200, Bet365 will give you a free £200 bet as a reward. Meanwhile, and Ayr Gold Cup day was all about one man, James Doyle. The talented jock rode a fantastic treble on the card, including landing the big race on Louis The Pious. We were getting very excited at one stage as our selection Heaven’s Guest hit the front with two furlongs to run but his big weight took its toll as Doyle came through to win decisively on the David O’Meara trained animal. Riding at the course for only the second time, he ensured his mount – drawn 19 of 27 – was quickly on the rail of the favoured stands side and that played a huge part in the victory and of his 796/1 treble. “It was a golden highway up that rail, but I can’t take any credit. David and his team have done a fantastic job with this lad,” said Doyle.